It’s got to be at least a week since I posted about helmets… so here’s something a bit different from Bell… with a ‘weapons grade’ look about it. 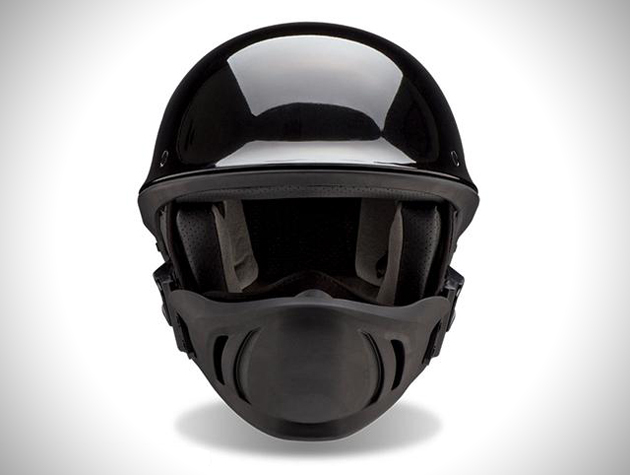 More than a open face helmet, the additional “muzzle” is ‘purpose built to guard against the elements’. 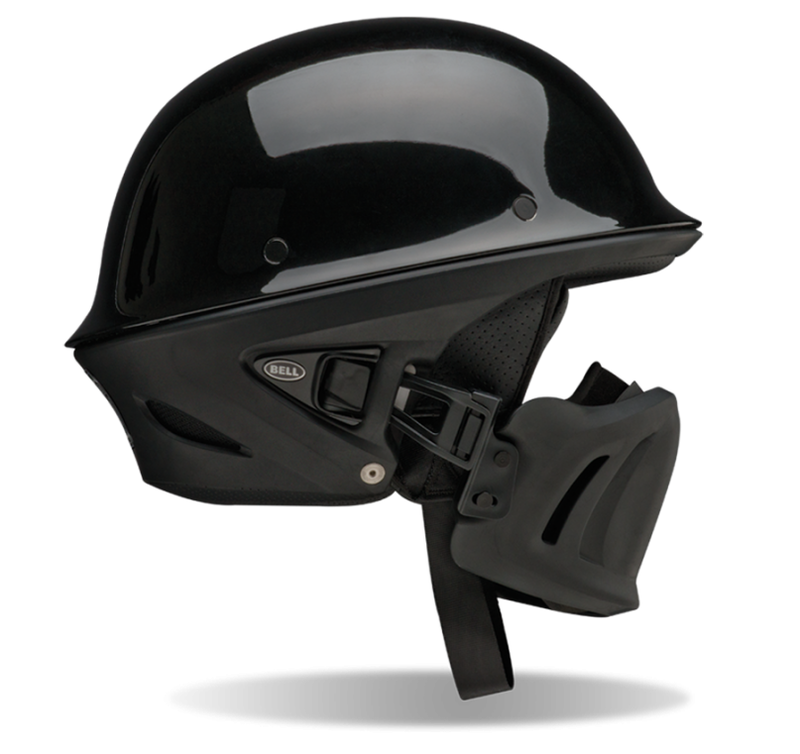 I know when it comes to helmets it’s not all about looks, but this would look great on the right kind of scooter! 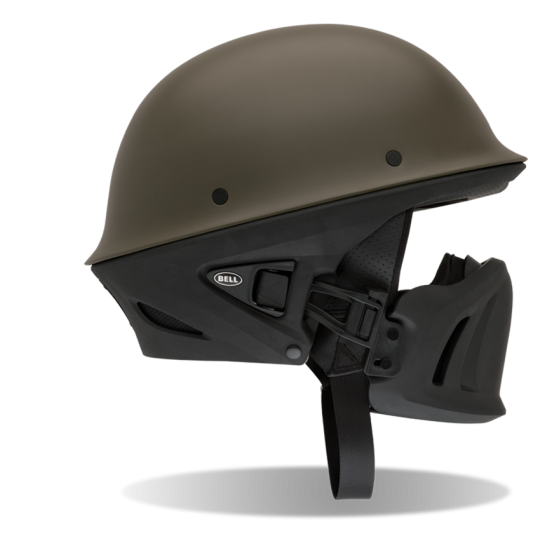 Available in military colours; Gunny, Black (Matt & Gloss) and Solid Army Green. I think the Gloss Black looks particularly impressive… in a slightly scary way! This entry was posted in Kit and tagged Apparel and Helmets, Bell Sports, helmet, motorcycle by crocodilejock. Bookmark the permalink.